This SW facing two bedroom, two bathroom plus den is available at the very popular “The Sentinel” built by Bosa and located at the quiet end in Newport Village. Open concept living w/mountain and inlet views from your living room & covered patio. Den can easily be used as a third bedroom. Master suite with walk in & ensuite with separate shower/soaker tub. 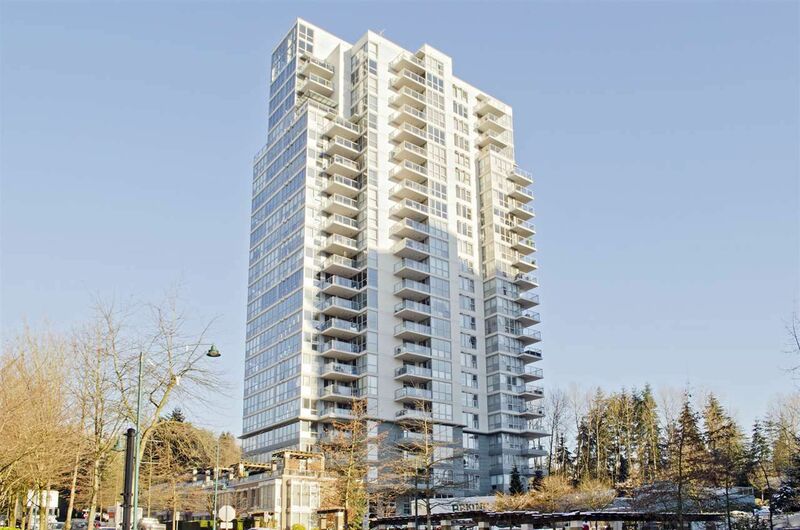 Only few steps away fr boutique shopping, great restaurants, trails, library, transportation incl Westcoast Express & Evergreen Line, Eagle Ridge Hospital, all levels of schools & State of the Art Port Moody Rec Center across the street! This units comes with two sbs parking stalls plus storage and bike locker. Building amenities include fitness centre and hot tub. Perfect unit for downsizing, flexible move dates! IMMEDIATE POSSESSION AVAILABLE!